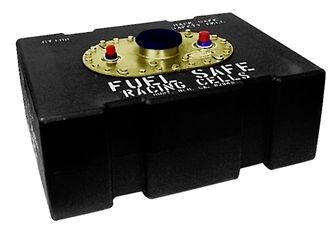 The Circle Track Fuel Cells from Fuel Safe are designed for the budget racer who wants the best cell possible for the lowest price. This cell is great for Hobby Stock Cars, Kit Car, Off Road, Pre-Runners, Hopped up Street Cars. Circle Track Fuel Cells come complete with full foam baffling, 6" X 10" Top Plate assembly, Gasket, and Pick-up Assembly. Note: Due to this product being dated, it is shipped direct from the manufacturer. Please allow extra time.